Honestly don't think there is enough content for both. I think the general discussion is good. At least that's where I'm hanging out. Apparently they did split up after the show, but are back together. Oates branded Marks a “grade A t***” in a since deleted Twitter post after he was shown kissing multiple women throughout the Channel 5 series. But despite watching his antics on screen, the pair said it helped them to rekindle their romance after they split in January. "rekindle their romance" = "reminded of their contractual obligations", IMO. I'm not buying any of it. @iamreal2u wrote: Boo Bobette Stop spoiling my fun while it last. 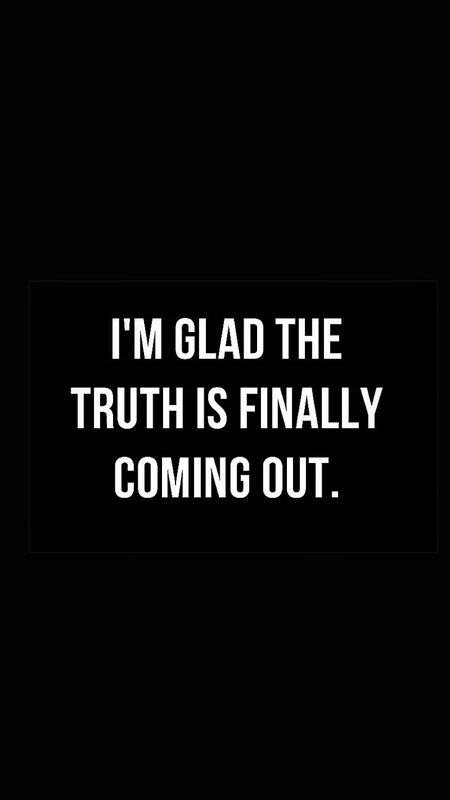 (btw I'm joking) . Anyone has the magazine and willing to share? Ouch. 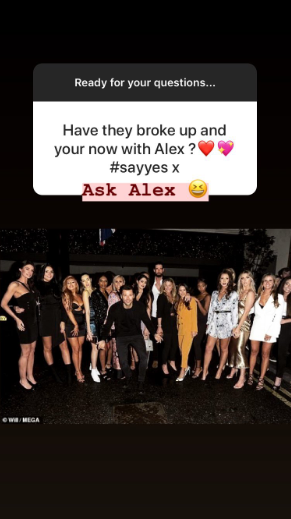 Not sure the reputation of the Sun but is https://www.thesun.co.uk/tvandshowbiz/8738589/the-bachelor-alex-marks-charlotte-girlfriend-alicia/? Knew there was a reason I did not particularly fancy her. 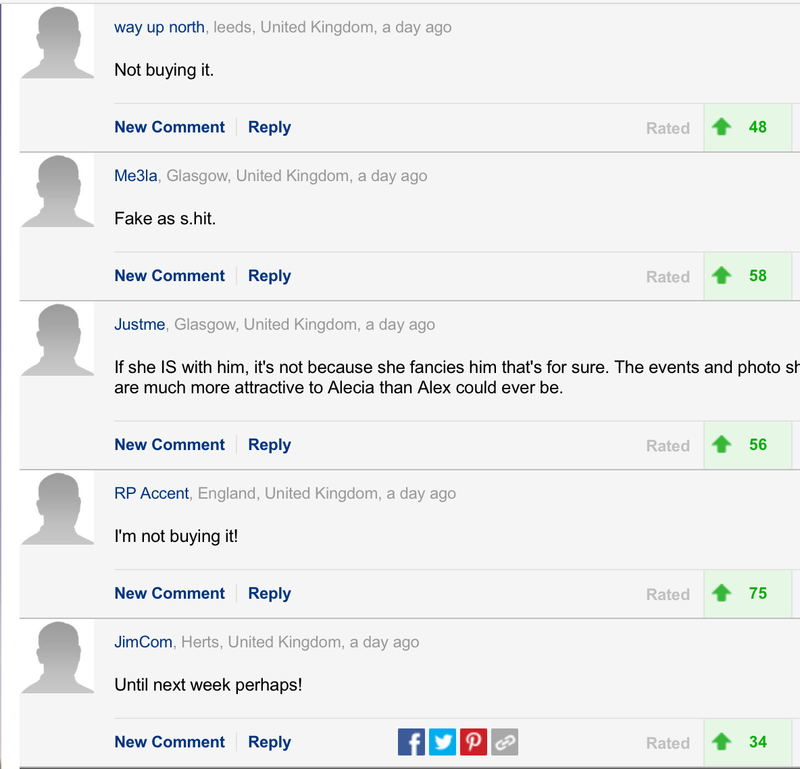 Daily Mail published an article yesterday "proving" they are still together, but the comments make it quite clear that I'm not the only one who thinks the whole thing is a sham. I'm not following either of them on IG but check now and then and I am yet to see a single "normal" couple photo of them - only staged (IMO) pics and magazine/media stuff and their IG stories are all about themselves. They're not fooling me for one second. They had met the week before for the wrap party. 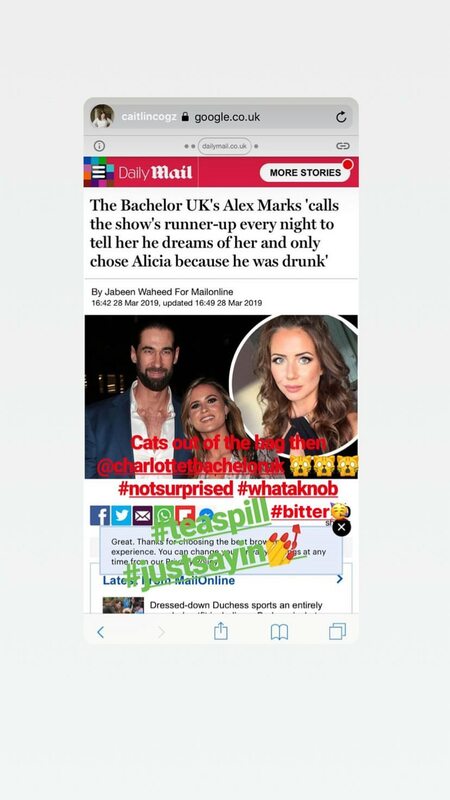 I think Charlotte is full of Sh%t and is pissed because the Essex girl beat her. Hopefully they both do. 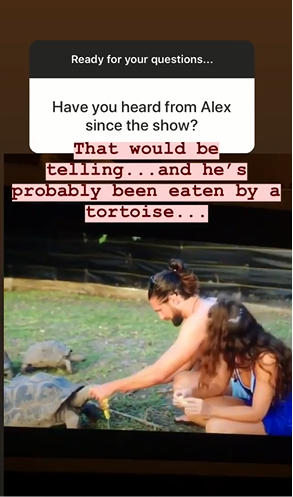 Reanne was doing similar by posting pictures and clips with Alex until Alisha called her out on it. Bunch of snobs. 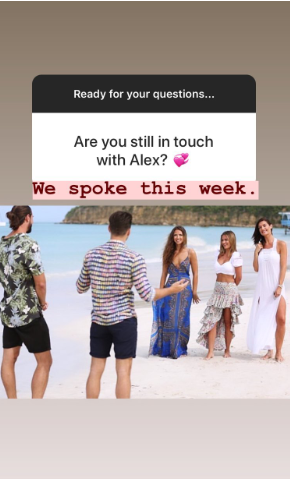 A pox on Alex as well if he continued to contact her after he got back together with Alisha. 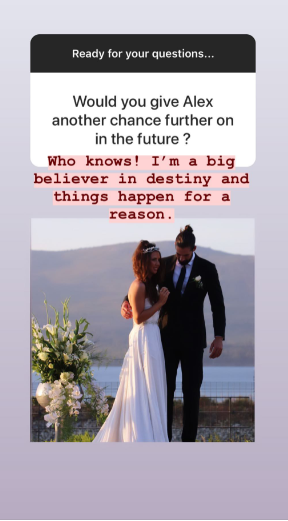 Charlotte T had an IG post Sunday writing something like 'time to forgive and forget' and she hadn't posting any of the vague Bachelor related stories all week, until today after the Sun article. So, I guess she's not denying the content of the article. 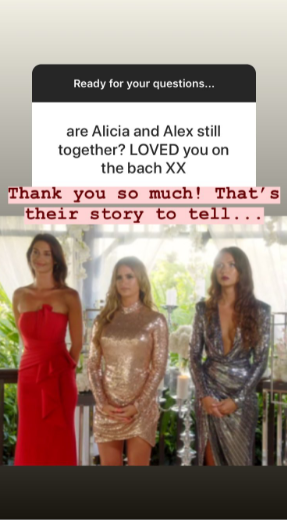 Meanwhile, Alicia posted a story of a picture of her and Alex, I think from an event they went to the night before, writing sorry they couldn't go live tonight, but promise they will in a few days. I think Alex has some explaining to do........ I do kind of feel for Alicia if she's being played by Alex. They live 45 minutes apart and they spent last weekend together and really seemed happy together and had a lot of plans for this weekend; it'll be interesting to watch what happens next. Somehow I doubt he calls Charlette every night. 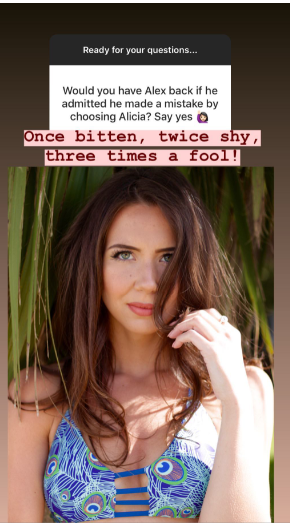 Someone seems to want to keep her name out there and make herself feel like the victim...you know so she has a good storyline if ever the Bette part should become available. BTW A&A are still going strong. He made an adorable chocolate egg for Easter based on his IG story.